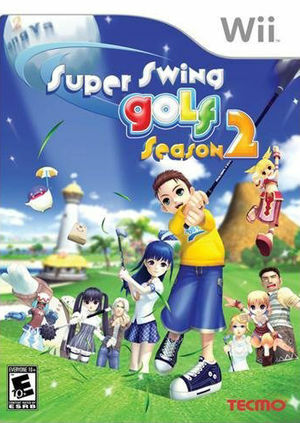 Super Swing Golf Season 2, known as Super Swing Golf in Europe and Swing Golf PangYa 2nd Shot‼ in Japan, is a golf game developed by Ntreev Soft/Tecmo and published by Tecmo for the Wii. It is the sequel to Super Swing Golf, and both are based on the Korean free online multiplayer golf simulation game, PangYa. The graph below charts the compatibility with Super Swing Golf Season 2 since Dolphin's 2.0 release, listing revisions only where a compatibility change occurred. This page was last edited on 16 January 2018, at 08:26.